Why not connect the PCs into a network; write some software to schedule applications, share data, and handle security; and scrap the mainframe? Some installations did this, only to discover that at great time and expense, they had reinvented the mainframe. 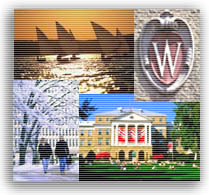 The university that produces the most blue chip CEOs and university professors, the most Peace Corps volunteers, and the most productive and long-running patents isn't Stanford or MIT—it's the University of Wisconsin. The US CMS Testbed: A Grid Computing Case Study (PowerPoint, 453kB) - as given at Condor-G Academy at NCSA September 30, 2002. Condor Administator's Tutorial - as given in Edinburgh, October 23rd, 2003. Includes lecture notes, workbook, and slides. Condor Administrator's Tutorial - as given at Condor Week 2004.